A powerful line-up of the GCC’s leading hospitality experts will address the challenges facing the region’s highly-competitive industry at this month’s GulfHost Restaurant Development Conference in Dubai, with rumoured oversupply, sustainability and the impact of VAT and digital technologies high on the agenda. 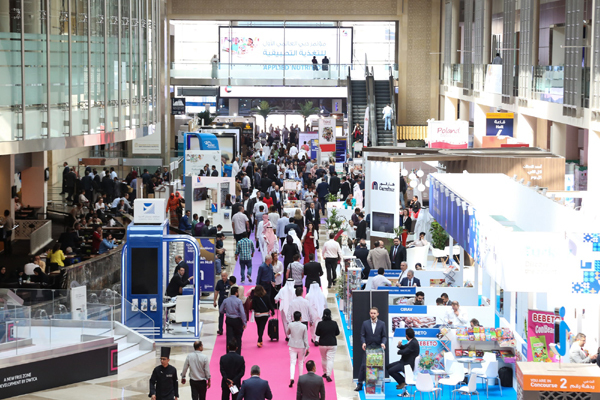 The conference, which will run at the Dubai World Trade Centre (DWTC) from October 30 to November 1, will look at ways in which regional hospitality industry players can address the hottest issues facing the GCC sector, which is predicted by Mena Research Partners to grow 7.1 per cent annually to reach $196 billion by 2021. Laying out the GCC’s market realities in an insightful opening keynote will be Duncan Fraser-Smith, director global food and beverage (F&B) for hospitality developer The First Group. Fraser-Smith said his spotlight will also fall on the growing mid-market, four-star sector which, he believes, holds particular potential. And the UAE’s much-vaunted F&B oversupply will get a public airing at the conference with Emma Banks, managing director of Jumeirah Restaurant Group, joining a panel to discuss the issue, which she insists is not Dubai specific. “Dubai is open for business. Dubai has every restaurant brand, every retail brand and there are more and more hotels opening. In the area of hospitality, yes, there is an argument for oversupply but there’s also an argument for Dubai building a destination for the future. We have the 2020 target of 20 million visitors and the 2025 stretch target of 25 million, so the market is growing,” said Banks. In addition to the oversupply-driven panel discussion, Banks will also take part in two further panels on the second day of the conference (October 31): ‘Successful Women Restauranteurs and F&B Business Owners’, and ‘Talking Sustainability & Food Waste’. Additional speakers among the 70-strong talent line-up the GulfHost Restaurant Development Conference include David Macadam, CEO, Middle East Council of Shopping Centers; Ramzi Sohl, CEO – Commercial Development, King Abdullah Economic City; Anoop Gopal, director Real Estate & Property, Kuwait Food Co. (Americana); Andreas L Borgmann, founder and co-CEO Kcal, and many more. The GulfHost Restaurant Development Conference is part of the extended programme of GulfHost, the complete hospitality equipment sourcing expo for the Middle East, Africa and Asia, which runs at DWTC from October 30 to November 1. The second edition of the annual event is twice as large as its debut run in 2017 and counts 2,500 brands and over 8,000 products across six core sectors, including the new Gelato & Bakery, Café & Bar and Horeca zones. GulfHost 2018, which is co-located with DWTC’s annual trio of niche food shows, is set to draw upwards of 25,000 buyers. The conference will be opened by Vishal Panadej, director of the Middle East Food Forum and Sunjeh Raja, CEO of the International Centre for Culinary Arts – Dubai. The two organisations have jointly organised the master programme, which will also feature an ‘Investor Pitch.’ The live pitches will be made by five promising F&B concepts with at least five years’ operational experience. The pitchers will seek to win over the potential investors Abdul Kader Saadi, founder, Glee Hospitality; George Kunnappally, managing director, Nando’s UAE LLC; Akshay Oberai Dosaj, managing director, Purple Honey Group and Manu Mahdi, founder and CEO, Organic&Real.com. “The pitch session will give delegates insights into the dreams behind these hand-picked initiatives and in what it takes to inspire financial confidence in today’s crowded market,” explained Trixie Lohmirmand, senior vice president, Exhibitions and Events Management, DWTC.